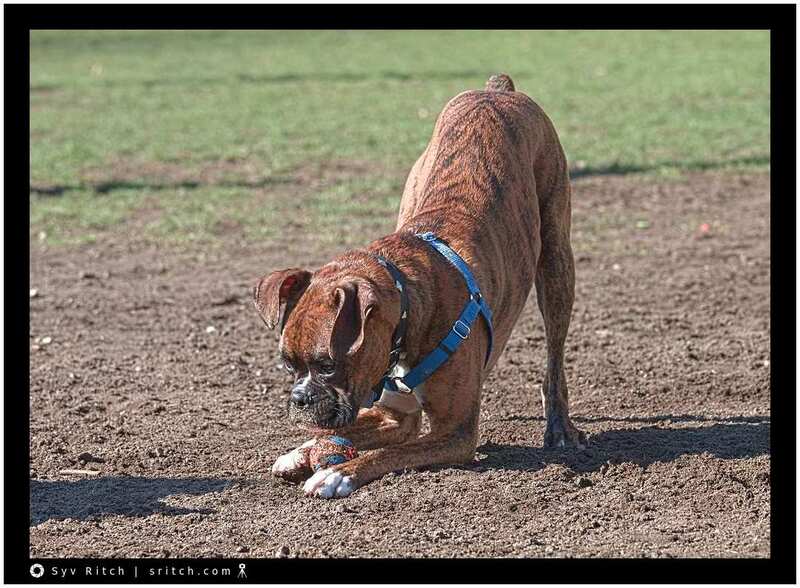 This Boxer stole the ball from another dog and didn’t want to play with his own ball. The owner of the ball wanted to get her ball back so she could leave, but the boxer was having none of it. The owner of the Boxer (I’m not sure that she was the owner or just looking after him) was afraid of the Boxer. 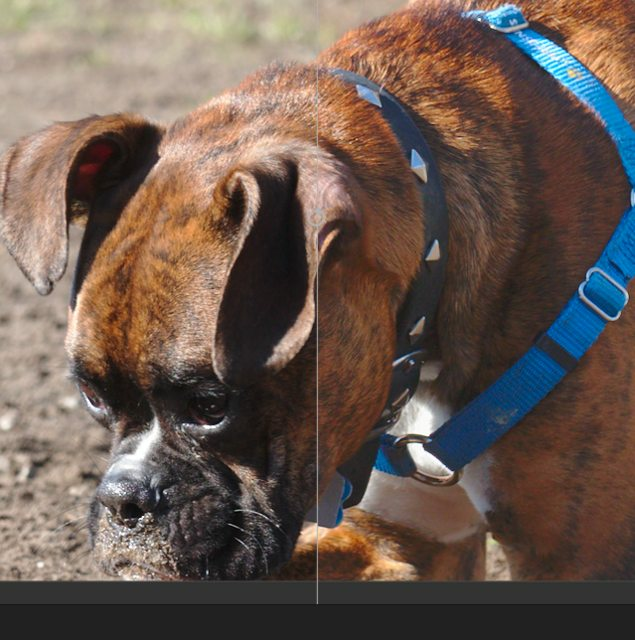 Eventually, the Boxer abandoned the ball to try to steal a ginormous Kong from another dog.